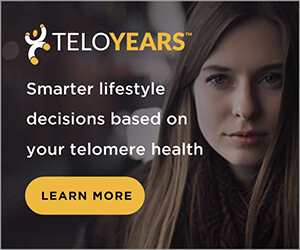 We have listed below the most prescribed lowering cholesterol medications, as well as the most used dietary supplements, as an alternative to statins. In order to find the cheapest drug and best buying conditions, no metter on brand name, we have made review on each of the listed medicine. For more information about a particular drug click on its name. Caduet (generic name: Amlodipine and Atorvastatin) is used to treat patients who require treatment for both high blood pressure or chest pain and high cholesterol. Caduet is not for everyone, it is a prescription drug and only your doctor can prescribed it to you. Lipitor (generic name: Atorvastatin) is an HMG-CoA reductase inhibitor (also known as a "statin") used in combination with a low-cholesterol and low-fat diet to lower cholesterol and triglyceride levels and to raise good cholesterol (HDL) levels in our blood. It may also be used in certain adolescent patients, age 10 to 17 years, who have a genetically caused cholesterol problem. Vytorin (generic name: Ezetimibe and Simvastatin) is a combination of two medicines used to treat high cholesterol. Zetia (active ingredient Ezetimibe) works by reducing the amount of cholesterol that your body absorbs from your diet. Zocor (active ingredient Simvastatin) is an HMG-CoA reductase inhibitor or "statin". Zocor (generic name: Simvastatin) is used along with an overall diet plan in order to reduce blood cholesterol in patients with high blood cholesterol levels. Zocor can significantly reduce the amount of LDL ("bad") cholesterol in the blood while simultaneously raising the levels of HDL-C ("good") cholesterol. Although statins are the most popular cholesterol-lowering medications, there are other, more natural options. Hypercet is not available in retail stores and can only be purchased online. It is pretty popular due to the fact that it is not only successful in supporting and maintaining healthy cholesterol levels, but the manufacturer offers free bottles when you purchase online. CHOL-Support combines a triple standardized artichoke leaf extract with pantethine. It helps promote healthy levels of both HDL and LDL already within normal range. Cholestasys adds daily nutritional support for a diet low in saturated fat and cholesterol. It has been formulated by HelloLife, the US company well known in the industry of natural medicine. Ingredients in all of their products are regulated by the FDA according to the guidelines for OTC homeopathic formulation. There are also several herbs and natural supplements which have been studied and proven to have the abilities to lower cholesterol and blood triglycerides levels. Some of them could work alone, while some of them should be used in conjunction with other medicine. 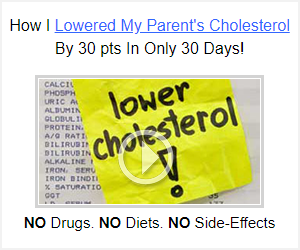 Here you can find more information about cholesterol lowering supplements. All products and services featured are selected by our editors. We may receive compensation for some links to products and services on this website. We are a participant in the Amazon Services LLC Associates Program. BigHealth.Net strives to provide the best service possible with every contact. Have questions? We're here to help!